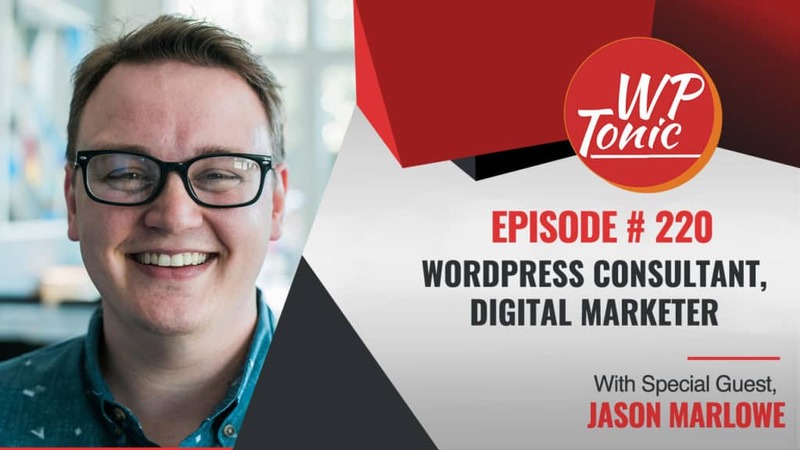 In this episode and, in this corner, weighing in at an undisclosed weight, the WordPress Wrangler, the Marketing Magician, the Digital Demagogue – Jason Marlowe joint founder of the digital agency MKT House. Jason Marlowe is a WordPress consultant, digital marketer, co-host of the LunchBreak Marketing podcast, and 16-year website design veteran. He’s also a husband, father, and woodworker. He’s happy to be our guest today and would love any and all feedback on Twitter at @jasonmarlowe. Jonathan: Hi there folks. Welcome back to the WP-Tonic show episode 220. We’ve got a fantastic guest joining us. He’s recently been part of our panel show. He’s got some great things to say about Marketing and his experience in running a boutique agency. That is Jason Marlowe. Like to introduce yourself Jason. Jason: Hi. Hi. Hi. Hold the applause. Please, please, please hold the applause. Hi everyone. I’m Jason Marlowe. I am a WordPress Consultant Marketing guy, Podcaster, wear a lot of hats. Jonathan: You certainly do. Before we start, you’re probably wondering where’s my co-host. She hasn’t done a. She’s just got a terrible cold. Poor old Kim. She really wanted to be part of the show. But she’s not well. So give her your thoughts folks when you’re listening to this and hopefully, she will be better on Friday and will be joining the round table. But she caught one of those horrible colds traveling on a plane and they are the worst. So how to start the conversation? So basically, I think we’ll start because, maybe you can give a quick background on how you got involved in your agency and also WordPress? Do you mind that Jason? Jason: Absolutely. So let’s rewind 16 or 17 years. Jonathan: Can’t be. You don’t look old enough Jason. Jason: I’m going to go day by day. So this might run a little long. No. About 16 or 17 years ago I was still in high school at the time, but I got really interested in websites and how to build websites and started out with HTML and CSS specifically. And then when I got to College I had an internship where I started doing front-end development for a company that built websites with Drupal. And after College, I kept the freelance thing going and I tried to keep building websites in Drupal. But one of the first things that I realized was that Drupal’s really really hard to pass over to a client. So when you pass that over to a client, there’s this massive learning curve and I was having to make tutorial video after tutorial video and it was a nightmare and I was like, “I can’t do this”. And at the time WordPress was far more in its infancy and it was seen specifically as a blogging platform. So I didn’t really think anything of it too much. And then a couple years went by and there were some massive developments in WordPress and I started getting into that and WordPress is now my exclusive Content Management System that I build with. And yeah, that’s my start with Web Design and WordPress. 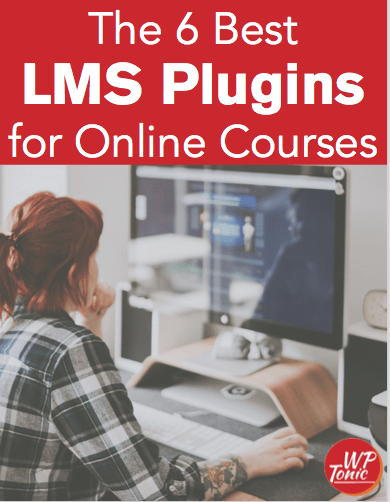 I started out in a completely different Content Management System and found WordPress and I have really no intent to change that in the future. Jonathan: That’s very similar to my background. My first Content Management System that I utilized was ExpressionEngine actually. I never got into Drupal or Joomla. It was Expression. I was living in England and it had a very large, some of the biggest names in Web Design really used ExpressionEngine. So you’ve been blogging quite extensively. That’s how you got on my radar with some of your blogs and then you agreed to come on our panel show. But you’ve been talking about different pricing models, haven’t’ you? Like to talk a little bit about that? Jason: Yeah. I’m the Marketing Director for a company, for an Insurance Agency here in Georgia. But my side hustle for 4 years now has been Market House. We’re a boutique agency. We do a good bit of business. But right now we’re in the middle of changing our hosting. And we’ve been with Bluehost and with this company called Eleven2. And we’re really just having issues with our hosting and so we made a decision to switch. We talked to a couple of other professionals in the space and we landed on WP Engine which I just absolutely love and adore. Because we switched to WP Engine, one of the first things we noticed, was a complete shift in the uptime that we had with our own site and a couple of our client sites that we moved over initially. And back in, I don’t know what it was, I don’t know, the Spring, we were starting work on a client’s website and they were with GoDaddy. And one of the first things we noticed right after they signed the contract and we began work, was just this massive amount of downtime. I mean we would log in and just have issue after issue with the site being down a lot. And so as we were starting to rebuild we’re thinking, “Okay. Well, what can we do? We’ve noticed an immediate change in the uptime that we had with WP Engine. What can we do with this client? And what can we do with potential future clients to try and use uptime as a way to sell?”. And so immediately I was like, “Well, what kind of data can we collect? What can we do?”. And so I used this free service called Uptime Robot. I think it’s uptimerobot.com. And then we also used Slack internally. And so we dropped a notification from Uptime Robot and the Slack. And so I get a notification right in Slack every time a site goes down and then when it goes back up. And one of the things that we noticed after a month of testing was that the sites that we were testing on WP Engine, zero seconds of downtime. Not one second of downtime across the month. And the client’s site that we were hopefully trying to eventually sell this website care plan, which is this continual service that we do forever for the life of the site, their site went down, it was probably 3 and a half hours over the course of this month. I don’t care if it’s 3 minutes. That’s still an issue. It’s going to happen from time to time. But when you have 3 and a half hours where it’s these blocks of like half an hour. I think one of them was like 2 hours that it was down. We noticed an immediate opportunity to try and work this model into what we do. So now, every time we get a new customer, we on board by adding them to Uptime Robot and we start monitoring that immediately before we even have a conversation of where you’re going to host it afterwards, what’s the plan for after we build the site? So we actually worked with WP Engine over the last month or so to develop a case study on this, on how to sell add-on services and hosting using uptime. And I’m sure Jonathan we can link to that here in the show notes. Jason: It’s super valuable and we were really excited to do that. But, yeah. The concept is to, even when you’re prospecting, maybe even before you sell, that you are monitoring that. And say you go out and you find 10 companies that you really want to redesign their site. Immediately stick them on Uptime Robot, set up that Slack integration and monitor their traffic. I’ve found that if you find a good point of contact and you email them they’re like, “Oh, wow. I didn’t realize it was down”. And you’re not necessarily selling at that point. You’re establishing yourself as somebody who knows what’s up. And when they do need you, maybe they’re going to look to you. Selling clients with uptime is definitely a valuable tool. Jonathan: I think the only thing in your blog article about a different pricing structure is that a lot of clients think, they say, “Well when the website’s finished”. What they don’t realize it’s never finished, is it? Jason: Right. No. Yeah. That’s another thing that we’ve been experimenting with is you have two camps, right? So you’ve got typically what’s been like a cheaper model where, I don’t know, you spend 99 bucks a month for a website from some guy and you just pay that for however long. Or you have an up front cost like a 50 percent down and you’ve got this milestone model went down, 20 percent mid-way, 30 percent on completion and then try and sell them these add-on services at the end. And I think there’s an approach that you can do for kind of that middle ground client where you can sell them like a 2 year website plan where you take the cost of what you would typically charge for the website, for all your maintenance, for your hosting, for whatever it is you do. Look at what that spend is typically across 2 years. Break it up month by month and then after 2 years, you sell them on a website redesign. So we’ve had some varied success with that. We’ve got two or three clients on board with that since we’ve been testing since this Spring. So I think it’s definitely an interesting model. I would love to know if anybody else is doing that same thing and their successes, how they’re treating that. There is some kind of weirdness with the contract and stuff like that. So it’s definitely still in like alpha testing. But I definitely think it’s a model that other Web Designers and Developers can run with. Because it’s all about, if you do want to make a go of this and you want to have a life, you to figure out some way to develop a recurring revenue stream and this is kind of our initial test into that. Jonathan: That’s definitely something you’ve got to work on because otherwise, it’s just feast and famine, isn’t it? Jason: Yes. Exactly. Yeah. And then you go through these massive areas where it’s like 4 or 5 months where it’s famine and then you happen to sign three clients in the same week. And then you have to try and figure out, “How do I space that out for the next famine time?”. Yeah. No. Absolutely. Jonathan: And I also think a lot of small boutique agencies, for very obvious reasons doing the work and also doing all the prospecting Marketing to your target audience becomes or impossible to do correctly. Would you agree with that if you’re also attempting to do all the work? Jason: Right. Absolutely. Prospecting is very very difficult. I’m not a sales man. I’m the half of Market House and I prefer to work on client projects and Zack, my partner, prefers to actually handle the business, project management. And he also works on designs and the websites as well. But it’s nice to have that sales piece that he’s handling because prospecting is difficult. But I will say that I definitely think there’s some really interesting opportunities I had with the uptime model. Going out, maybe finding like 50 different websites that you’re interested in redesigning and running uptime on them and seeing if they are, 2 percent, I mean 10 percent of them that are going down enough to where you can at least open a dialog. That’s like a passive way I guess to prospect. Jonathan: That’s so true. Well, it’s gone already quick actually. We’re up to our break folks and we’ll be coming back. And we’re going to be talking about something else that Jason’s got quite passionate about which is Micro Marketing. And he’s going to be explaining the concept and why he’s so interested in that particular idea. So we’ll be going for our break folks and we’ll be back in a few moments. Jonathan: We’re coming back folks. We’ve had this great discussion with Jason and I was looking forward to it. Poor old Kim. You missed a great conversation, but I’m thinking of you. Right Jason. Before the pre-show discussion, you brought up this idea of Micro Marketing. Tell us more Jason. Jason: Thank you. So as I was explaining before the show for our listeners, I am on a one man mission or two man mission because we talked about it on our Podcast was that we’re on a mission to redefine Micro Marketing. And Micro Marketing is typically, you can kind of boil it down to kind of this concept of niche marketing. And we are really passionate about trying to go like even further than this small niche of just like this 10 people or whatever that niche is. But these concepts of, I believe Google calls them micro moments. So trying to create this all encompassing concept where with Micro Marketing, every aspect of the brand is perfectly aligned no matter where you see it. So whether you get a pair of socks. I have a pair of socks from MailChimp, the Email Marketing company. When I put them on and put my feet side by side, it completes their logo. To me, that is a micro moment. That is Micro Marketing, one of the finest moments of Micro Marketing. And then you translate it into our world with digital media and websites, Emma, myemma.com is another great example. They’re another Email Marketing company. And their 404 error page is one of the most beautiful, hilarious, brilliant pieces of technology that I’ve seen on the Internet in a really long time. I just stumbled across this page one day. And it kind of sparked this whole concept of Micro Marketing to me and how we can try and redefine it for this new world. Because how many times Jonathan do you hit a 404 error page? Jonathan: Been lucky so far. Normally I’m very good at doing it, but lately, I haven’t for the past couple of days. Pretty regularly. Yeah. Go on. Jason: Okay. Yeah. But for the average user, you’re not hitting that 404 page that often, right? As long as the site is well laid out and they’ve got their redirects in place, you’re essentially never, the typical user is never going to experience that page as long as they’ve done everything right. And the funny thing about Emma, is that they do everything right. I was actually looking for the 404 error page. Nothing intrusive or anything. I was just digging around to see what their site was built with because I’m always trying to satisfy that curiosity and I found their 404 error page and it’s great. I mean it’s got these funny videos, you can cycle through them by hitting the spacebar. It’s an interactive experience that happens on this microscopic level. And I think if brands really take care to look and see how they can promote their brand and align the brand and display their culture and really take all of these things that are typically done on a very high level, where they, “Oh. We’ve got this billboard campaign. We’ve got this TV ad that we have running”. All of these different things. Eventually, that’s white noise. So you’re driving down the Interstate. You see billboard Ads. “Okay. I’ve seen that ad every day for hair loss. I don’t care about that”. Or I see this ad on TV or I see this commercial on YouTube. Eventually, this space is going to be so saturated with noise that we’re going to have to rely on these micro moments where we’re connecting with customers individually, one to one to actually promote the brand and really make any kind of traction. Jonathan: I can see where you’re coming from and I do because it’s just the volume of marketing that somebody exposed in North America. There are figures and they’re just mind numbing, wouldn’t they? The amount of marketing that somebody at a very early age in North America, how much they’re exposed to it. And they must in the end filter, mustn’t they? Because otherwise, you’ll just go bonkers, wouldn’t you? Jason: Right. Yeah. Jonathan, have you ever seen the movie Minority Report? Jason: Okay. One of my favorite ideas to illustrate this concept is when Tom Cruise’s character is on the run and he ducks into a Mall. And he’s walking through the Mall and every ad is specifically targeted to him. He’s hearing what the Ads are. It’s talking to him specifically and as along with every other user in this space. The Ads are talking to them specifically. Not that we’re necessarily going to be living in a world of Minority Report in 10 years. But I really think that level of Micro Marketing is a reality that will soon have to be in this space because it’s so heavily saturated. I’m feeling lately kind of jaded with Social Media Marketing. That used to be what I hung my hat on for a long time. And I learned a lot within the Facebook space and Facebook Advertising and I made a lot of waves. I’m starting to realize day after day that there’s so much noise. There’s so much noise. That unless you’re laser laser targeted and you have a good budget, it’s just that, it’s just noise. So that’s where the concept of Micro Marketing comes in to kind of step in and replace that on different levels within the company. Jonathan: Yeah. Another thing on your blog that you’ve been discussing and it’s something that occasionally I’ve spoken about is that you hear on a lot in the WordPress community and from Web Professionals especially. They say, “Well, it’s only Marketing site. It’s only a brochure”. That’s what they say. It;s a brochure site. But I actually think, I wouldn’t use that term anyway. But they say brochure. Having a site that actually gets a return on investment actually does something, actually add some stage to the selling process, makes new client decide to out reach and contact that company, do something, is extremely difficult, isn’t it? Jonathan: Where do you think all has come from? Jason: It just goes back to what I was saying. It’s that noise in this space. I think it also happens when you’re, as somebody who essential sells websites and then the digital marketing piece afterwards, it’s hard. You have to educate. So you’ve got a lot of clients who come to you and say, “I want a new website because it’s going to solve everything. All of my problems, they’re going to go away. I’m going to have customers. I want to have a pipeline. I’m going to be able to communicate. I’m going to be able to do all these amazing things with a new website”. And that is completely false. And we’re going through this exact thing right now with a customer. We built them this amazing website, but they didn’t want any Marketing. And we’re like, “Okay. So what are you going to do to drive traffic?”. They’re like, “Oh. That’s what we have the website for”. We’re like, “Okay”. And I feel like right now, they’re in this space where they feel like giving up, to be honest, with this company because the website is not doing enough. They’ve got some leads. They’ve got some sales. But in a world that’s filled with, I don’t know, what is it, a billion websites or more, one new little website that’s got good SEO but no connections to anything else on the Web, no in bound traffic coming from Marketing, it’s totally useless. And so unless you try and educate that customer early on about what’s ahead, about the fact that they’re going to have to spend for Marketing. They’re going to have to really work at growth. And that they’re in for a long game if you’re only relying on a website. We had a website, does very very little Marketing and it’s got a lot of content. It’s got probably 1,000 pages on it by now. And they’re just now, after a year, in 4 or 5 months, they’re really starting to see some actually definable growth with their traffic, with their leads. It’s a long time for organic traffic to pick and I think it would happen after most people would bail out. So it all comes down to, like I said, educating that they’re in for actual spend and they need to with Marketing in order to do anything because the space is so noisy. There’s so many websites out there. If you think that you are new in this space, you’re not. I’m sure there’s five other people doing exactly what you’re doing. They just might not be on your radar. So unless you really have that budget, gosh, I don’t know. Jonathan: Well, budget or the realities of the situation you’re going have to do a lot of the work yourself. Jonathan: And what becomes helpful is having somebody produce some strategies, some pathway, that if you keep doing this particular thing, you should get this outcome. Jason: Right. I mean it’s possible. I mean it’s like with Social Media. Unless you are consistent and dedicated, you might as well not even pick the computer to start typing because you have to constantly hit it over and over and over again. You have to constantly provide value and growth. And it’s like I said, it’s about setting expectations for what the client’s into because a shiny new website is just that. It’s just shiny and new and eventually the shiny is going to wear off and you’re going to feel real jaded unless you’re in for the long run to put in the work, put in the hours. But there is a payoff in the end. There is a payoff when you start to see the leads coming in and you’re closing sales and people are using your live chat and people are using your contact forms to get in touch with you and you see that traffic rise. So there is a payoff, but you have to set the expectations early on. Jonathan: I actually wrote, I’m plugging a bit of my own content but it is totally. Jason: I think that’s allowable. It’s your show, right? Jonathan: Yeah. Yeah. It is actually. I wrote a very extensive blog post, The Complete Guide to Customer Acquisition. And went into all the things I’ve learned over the past couple years about getting new customers and the process of getting them, so it’s pretty in depth. Because I do feel that there is some misinformation caught out there around Email Marketing, about Social Media. And I understand why it’s said, but that’s why I wrote this post and I did my SEO research as well Jason. So I think the time’s gone quick actually folks. And we’re going to wrap up the Podcast part of the show. We’re going to continue the discussion for about 10, 15 minutes and you’ll be able to see that on the website with the full transcript of our discussion and with the links that we’ve discussed. Plus the discussion will be on the YouTube channel. Please subscribe to that. That really helps. So Jason, how can people get a hold of you and learn more about you and your company and what you’ll be up to? Jason: So you can check me out a couple different ways. You can find me at jasonmarlowe.com. That’s M – A – R – L – O – W – E. And the same handle on Twitter jasonmarlowe. As I mentioned before, our company’s called Market House. It’s mkt.house online. And you can check me out on my Podcast at lunchbreakmkt or lunchbreakmarketing.com. Jonathan: Yeah. The Podcast is fantastic folks. Do go and listen to it. Jason and his partner bring up some fantastic thoughts and discussion points. How to get a hold of me folks and the show, that’s really quite easy. You can get a hold of me on Twitter @jonathandenwood. I kind of like to spend a bit of time every day retweeting stuff and then just reposting from the archive the 240 shows that I’ve done. You’ll find that. Go to the WP-Tonic Facebook page. There’s some good content on there. Or you could email me [email protected] and I do answer my email, not the same day probably, but if you’ve got a question or you want some advice, I’m there to help out. And like what Jason says on his own contact page, fax, what is that? No. You don’t use that. You use something much more witty, don’t you? Is your comment about faxing, don’t you? That brought a smile to my face. Well, folks, I think it’s been a fantastic conversation. Please go, like I say to the website and go the YouTube channel and you’ll be able to hear a bit more of this conversation after we’ve finished the audio. And just to wrap up, if you can go to iTunes and give us a review. I know if you’re on a PC, it’s a total pain in the posterior. But if you can and if you’re getting value from the show, it really does help the show. And we’re moving back up the rankings. We’re getting more and more people listening to the show. And hopefully, Kim, my co-host, will be a lot better and will be joining us next Wednesday. We’ll see you next week folks. Bye. Thanks so much for having me on the show Jonathan. Love WP-Tonic.